Size 4/6 - £23.99 Only 6 left! One part young Han Solo and one part Luke Skywalker, Ezra Bridger combines the worlds of smug scoundrels with Jedi powers, and the result is amazing for Star Wars fans everywhere! 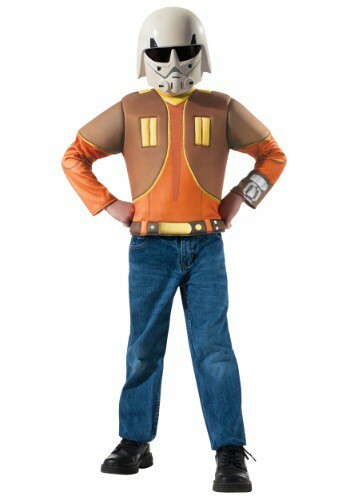 This Star Wars Rebels Dress Up Box Set gives your kid the opportunity to be the hero, Ezra, from the cartoon series. Now, if he starts talking about the force and lightsabers and finding a trainer, it's up to you if you want to send them off to Dagobah!